Rishikesh is the only destination in the world which is equally popular for pilgrimage, Yoga and Adventure Sports. 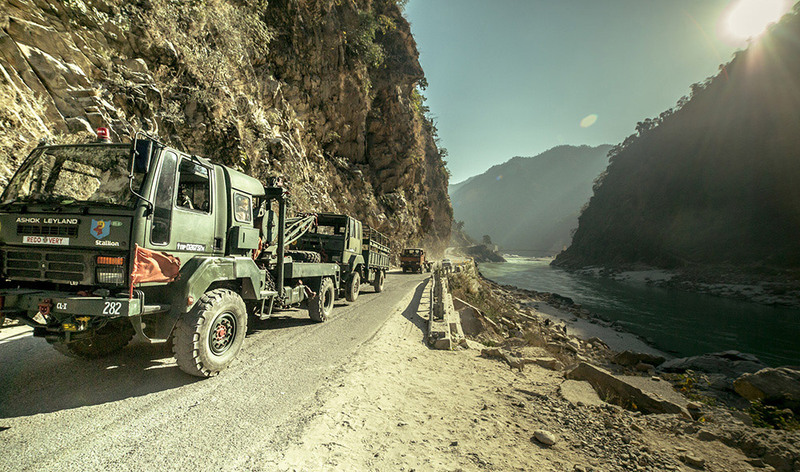 It is situated in the foothills of the Shivalik range on the banks of river Ganga in Northern India. 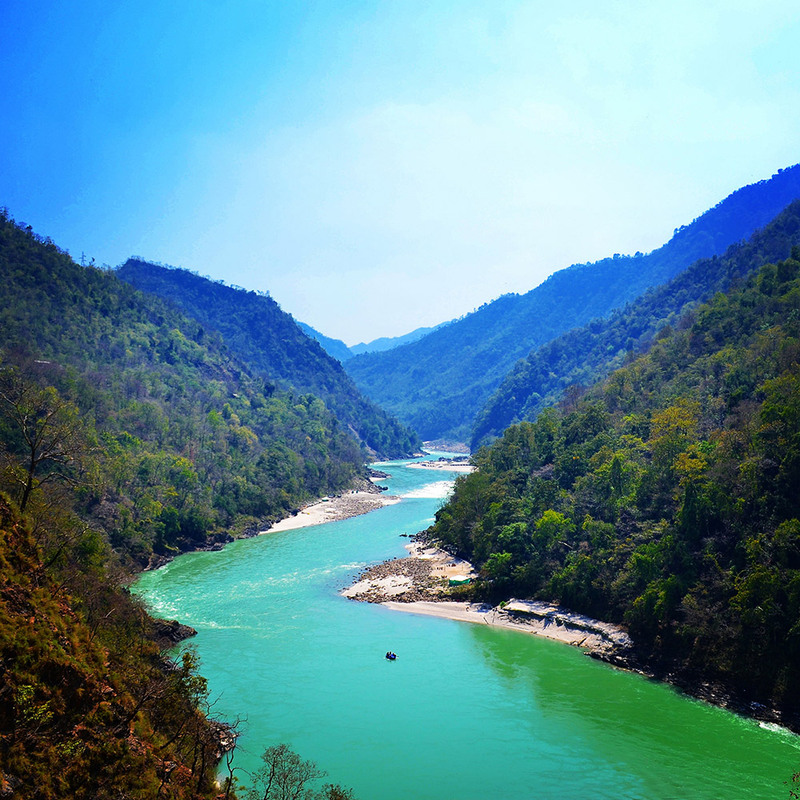 Rishikesh, located just 43 km away from Dehradun is the hub for Yoga, meditation and spirituality. The place is frequented by many international travellers and pilgrims. Thousand of years ago saint came to this place in order to attain peace and spirituality. As their study and practice flourished here, Rishikesh soon established itself as the birthplace of the Ayurveda, Yoga, Meditation, Spirituality and Spa Therapies, and it became famous world-over as a perfect place to study, learn and practice the Ayurveda, Yoga, Meditation, Spiritually and Spa Therapies. 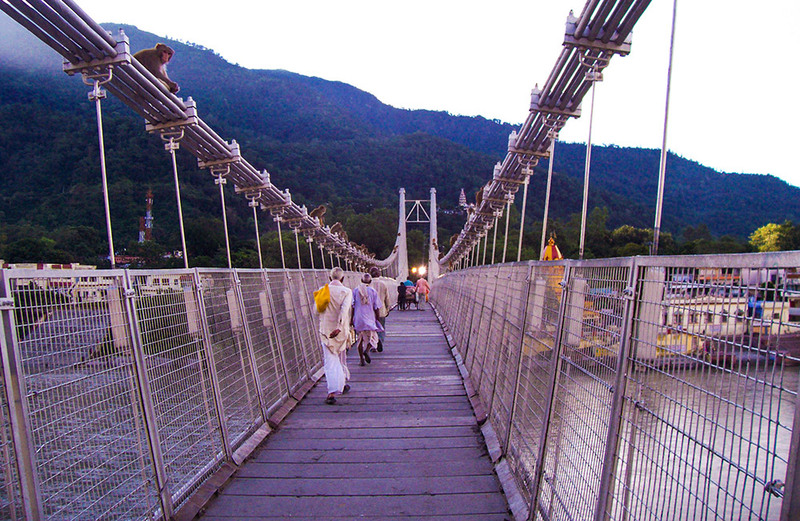 Pilgrimage: Rishikesh is one of the most revered pilgrimage destinations in Hinduism and attracts large number of devotees and pilgrims who visit this spiritual abode and take a dip in the holy Ganges to cleanse their soul. Yoga and Meditation: Rishikesh is considered the ‘Yoga capital of the world ’. Tourists and spiritual seekers from all over the world visit Rishikesh to learn the ancient techniques of yoga and meditation and find inner peace. Every year in March, International Yog Festival is organized in Rishikesh. 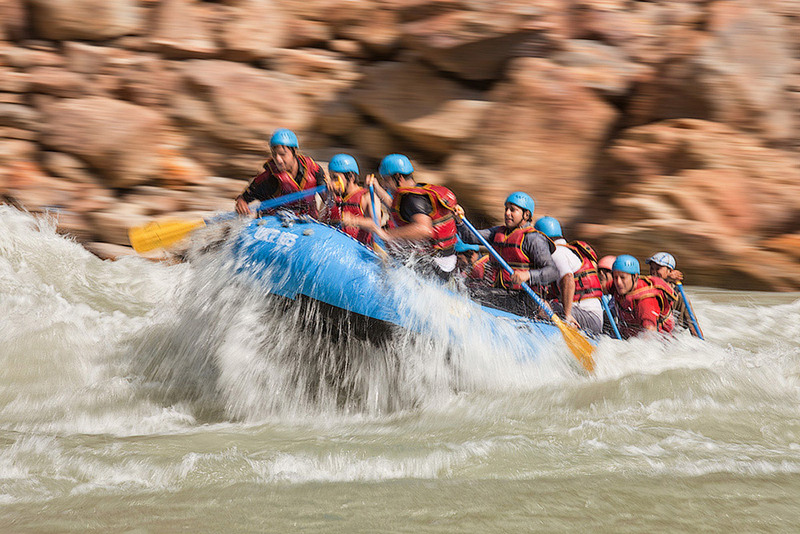 Rafting: Rafting in Rishikesh is popular all over the country and the turbulent waves of river Ganges makes it a popular adventure activity at Rishikesh. Adventure seekers flock at Rishikesh in large numbers post-monsoon to enjoy the thrill of rafting. Book your rafting tour here. Adventure Sports: Apart from rafting, there are many adventure activities that will appeal to the adventure seekers. Some activities tourists can try at Rishikesh are bungee jumping, Flying Fox, Cliff Jumping, Body Surfing, kayaking, mountain biking, rock climbing, rappelling, and zip lining. 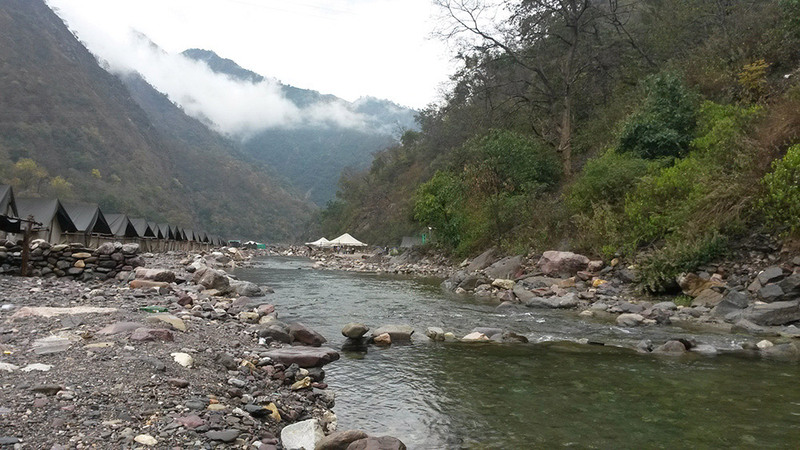 Accommodation is not a problem at Rishikesh as the place is flooded with numerous guesthouses, hotels and resorts. Also, being a religious place, there are many ashrams and dharamshalas in Rishikesh where one can stay. Due to the high influx of tourists and pilgrims to Rishikesh respectively, there are plenty of restaurants and roadside food stalls mushroomed at Rishikesh where chiefly Indian vegetarian food is served along with Punjabi and Garhwali dishes. Being a revered place of religious importance, non-vegetarian food and alcohol is strictly prohibited in Rishikesh. 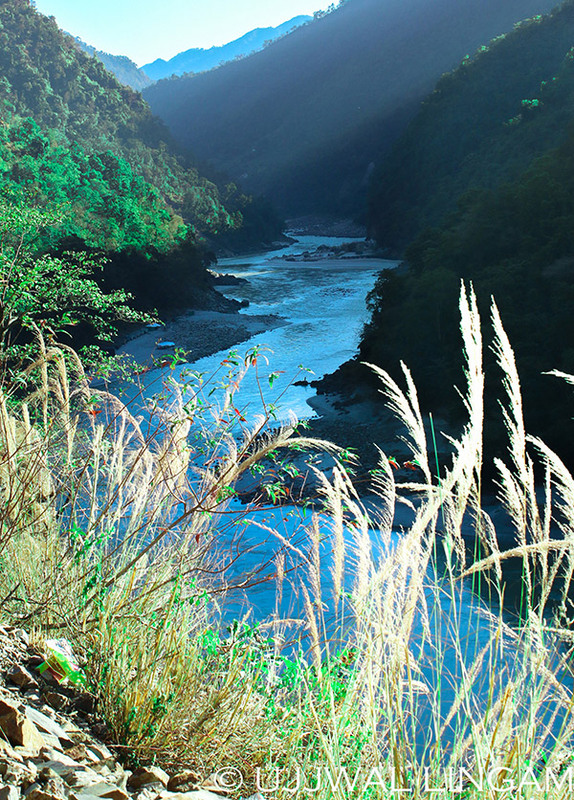 Widely known as one of the holiest towns of India, Rishikesh is associated with several legends and mythological tales. The first one states that a sage by the name of Raibhya Rishi performed a strict penance on the banks of river Ganga. Impressed by his utmost devotion, Lord Vishnu appeared in front of him as 'Hrishikesh' meaning ‘Lord of the Senses’ in Sanskrit. Therefore, the place became popular by the name of Hrishikesh, another name for Lord Vishnu and was later re-named as Rishikesh. The 'Kedar Khand' of Skanda Purana, also mentions the existence of Indrakund at this very point. While the other legend states that Lord Rama indulged in deep meditation here for annihilating Ravana and it was here that Lakshmana, the younger brother of Rama crossed the mighty river using a jute rope bridge. However, the original bridge was later replaced by an iron rope suspension bridge in 1889 and a similar bridge called Ram Jhula was made in 1986. 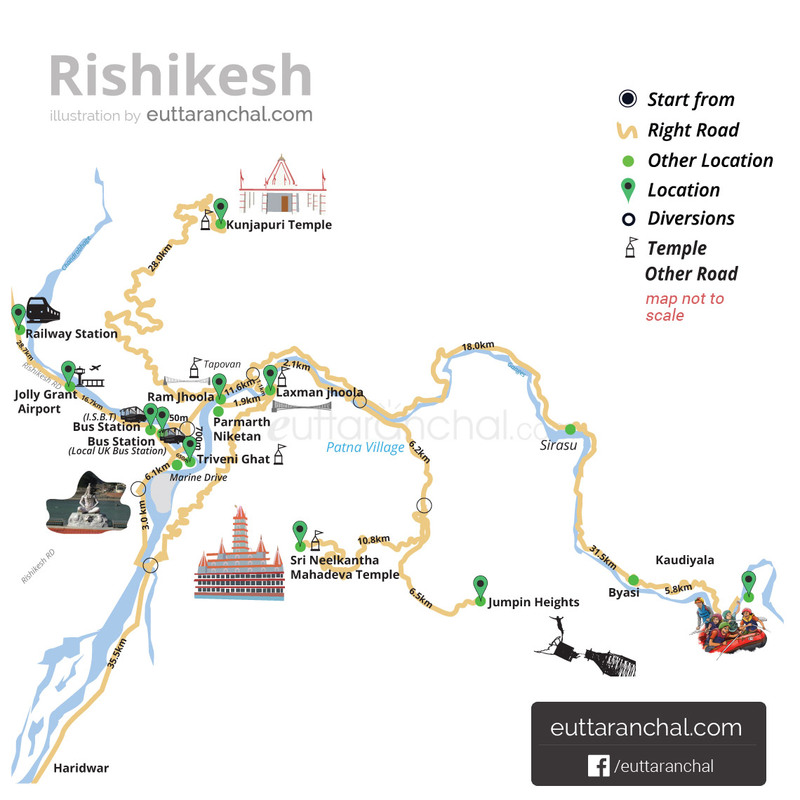 Also, there are several ancient temples in Rishikesh that were enshrined by Adi Shankaracharya. There are several ancient temples and ashrams in Rishikesh which are associated with our mythological and historical background. A dip in the holy water of Ganges flowing from the river beaches of Rishikesh is capable of washing all the sins of a person. The locals of Rishikesh are found to be mostly peaceful with friendly demeanor, speak local language, with good Hindi and some workable English. Rishikesh is famous among tourist as Yoga, Pilgrimage, Rafting, Kayaking, Adventure Tourism, Temples, Ashrams. Rishikesh is recommended destination for Corporates, Couples, Family and Kids, Foreigners, Groups, Solo. Rishikesh is popular destination for following activities/ interests - Adventure, Biking, Camping, Char Dham Route, Christmas and New Year, Hiking, Kayaking, Leisure, Pilgrimage, Rafting, Shopping, Temples, Weekend Getaway, Yoga and Meditation.